Having totaled a seven-year low last year, the number of newly proposed plans for major developments in San Francisco totaled 17 in the first quarter of this year, that’s up from 10 in the first quarter of 2018 and slightly above average for first quarter activity as measured since 2010. 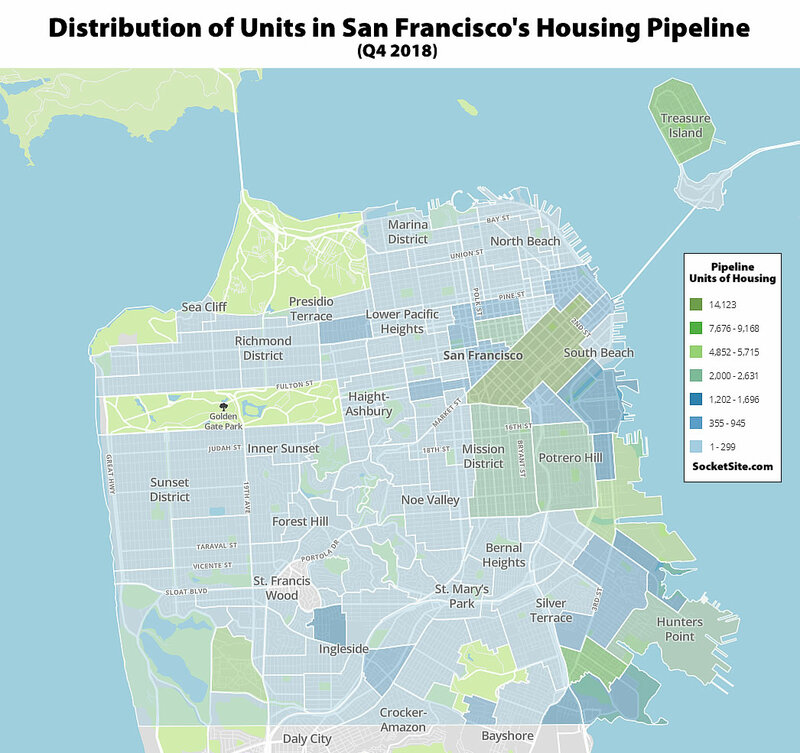 And despite having dropped to a seven-year low in 2018, keep in mind that the overall pipeline of apartments and condos under development in San Francisco had still ticked up to a record 70,960 at the end of last year, which was 5,710 more units than at the end of 2017 with over 8,000 units under construction (versus an average of around 5,600 units under construction at any given time over the past 10 years). 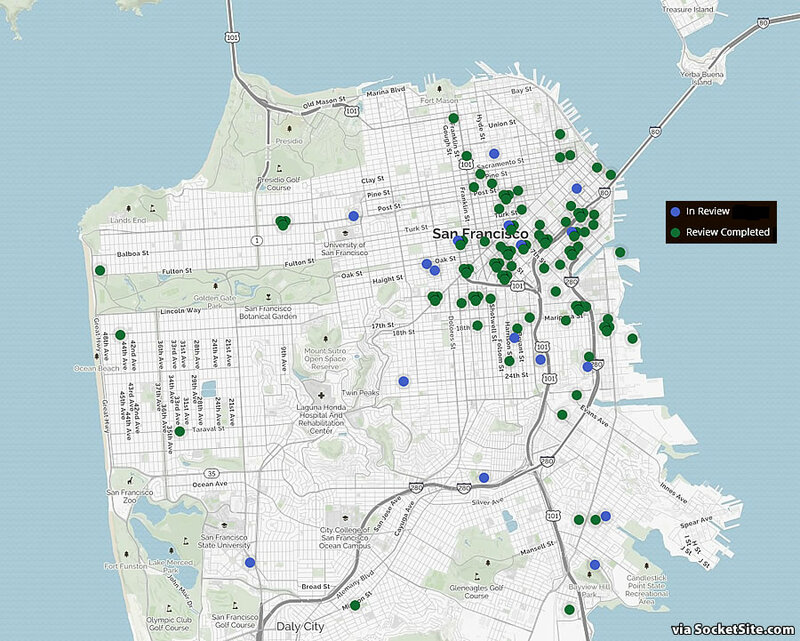 Is there a clickable map to see which each of these projects represents? Thanks! Any idea what’s holding up the project at 9th & Howard? Probably the same reason as to why so many other once-touted developments are languishing — the economies of new construction. I saw people taking soil samples many months ago. Thought maybe there was ground contamination from the gas station which was demolished last May. 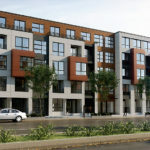 Show of hands; how many people believe that there really will be 14,000+ units of new housing on Treasure Island anytime in the reasonably near future? what’s the development plan for the treasure island with respect to rising water (coupled with slowly sinking landfill)? I think the dot above the P in Post Street is the Hemlock building that seems to be undergoing interior demolition now: some of the other “review completed” dots are likely also under construction now.